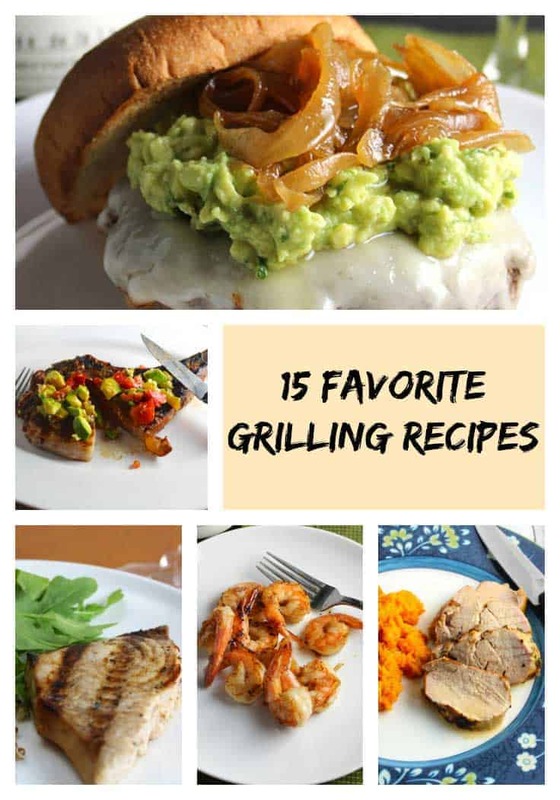 Just in time for Father’s Day, we have rounded up some of our favorite grilling recipes. We tend to associate Dad’s with hearty food like beef, so that’s how we start off our list. But there are some great grilled fish and vegetarian options here, too, for Dads and families looking to eat a little lighter! Guacamole Cheeseburger This is so much more than a basic burger! 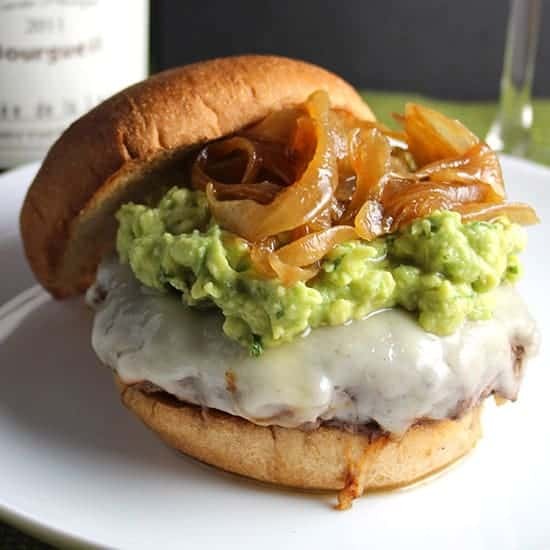 Zesty guacamole and caramelized onions take this cheeseburger to another level. Pair it with a Cabernet Franc for a great meal! Gruyere Burger Sometimes a simple meal is what you want when you head to the grill. 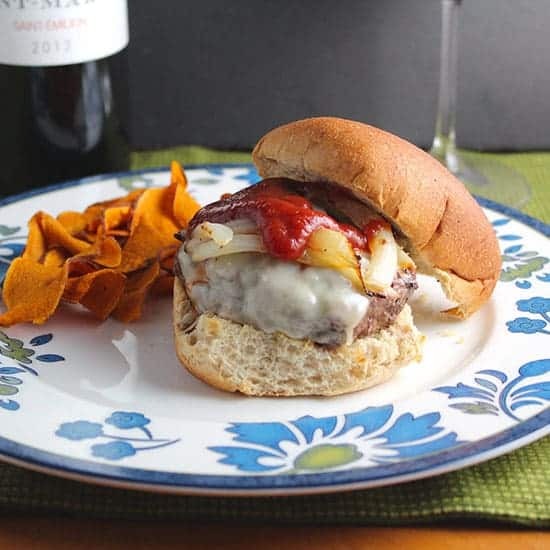 This burger is simple, but still is a special burger topped with gruyere cheese and served with a Bordeaux. 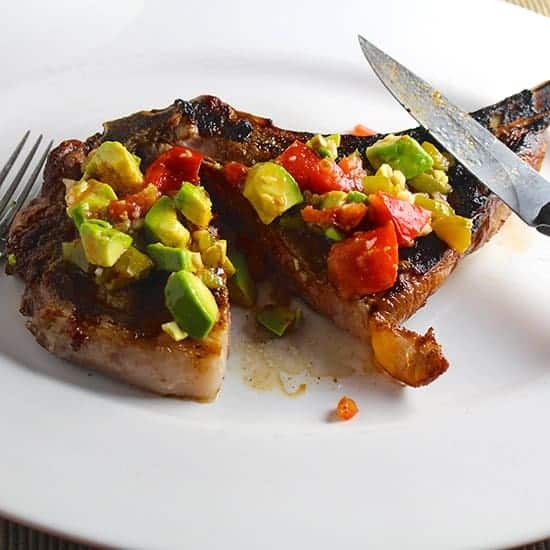 Grilled Ribeye with Hatch Chile Avocado Salsa Here is the perfect recipe to make when the Hatch Chiles are harvested in August! If Hatch Chiles aren’t ready when you come across this, you can substitute other chiles to still enjoy this flavorful grilled ribeye. Heaven Sent Grilled Pork Chops: The succulent pork chops with a simple garlic cumin rub get their name from our ten year old’s reaction to how tasty they are! Consider this one if you’re looking for something that packs a lot of flavor with minimal work. 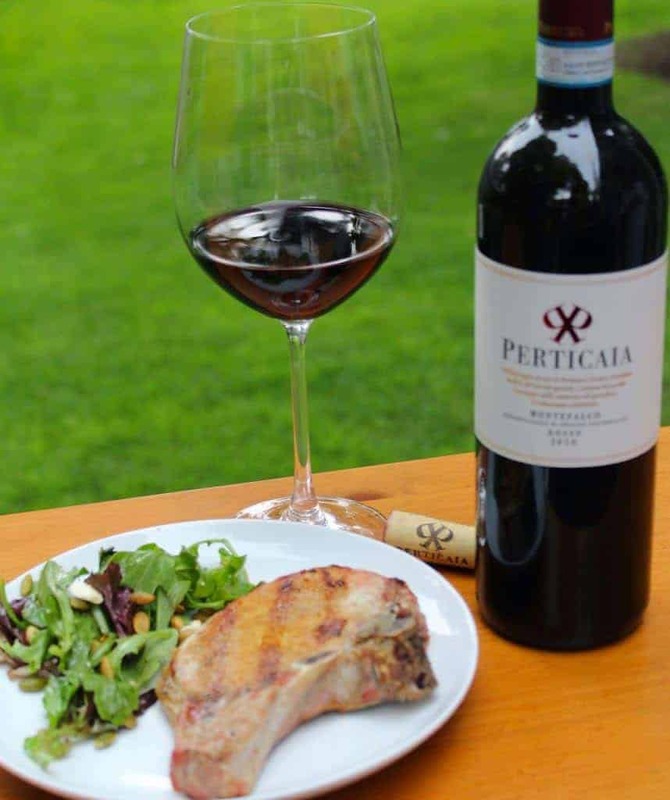 We enjoyed the pork chops with an Italian red blend. Grilled Cilantro Lime Pork Tenderloin with Chipotle Cream One of our favorite grilling recipes, with tender pork soaking in all kinds of great flavor from the cilantro lime marinade with plenty of garlic, topped of with chipotle flavor. 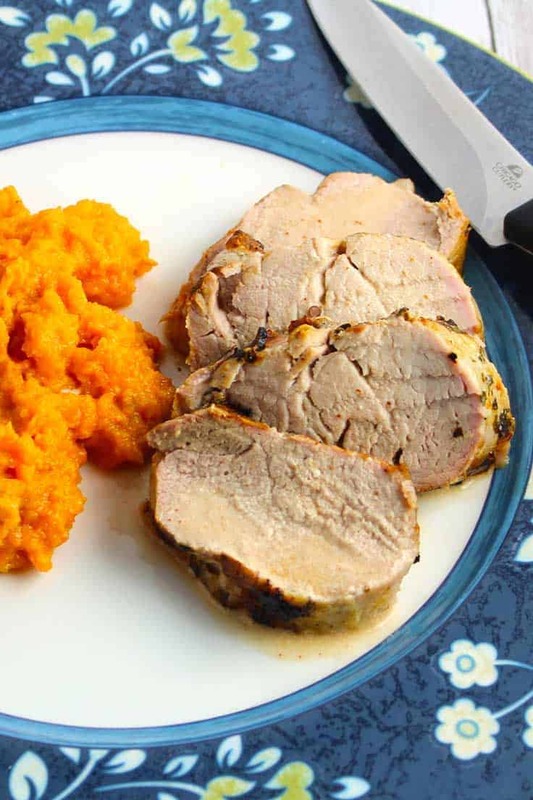 Pair this pork tenderloin with a Syrah. Orecchiette and Grilled Sausage Of course, grilling up some sausage is another great way to enjoy pork on the grilled. 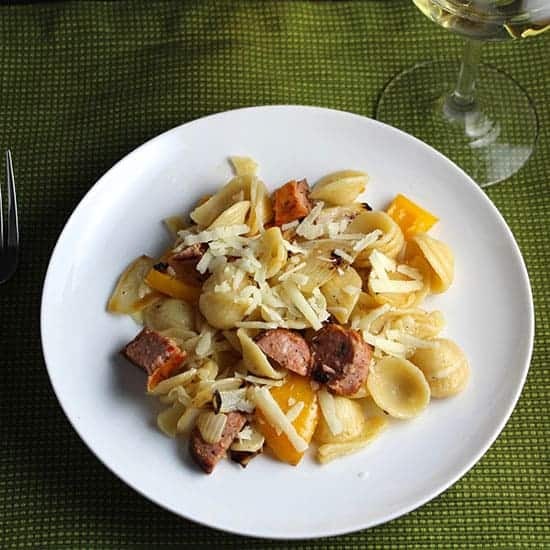 Here we tossed pork with peppers, onions and orecchiette pasta. We enjoyed it with an Italian white wine called Verdicchio. 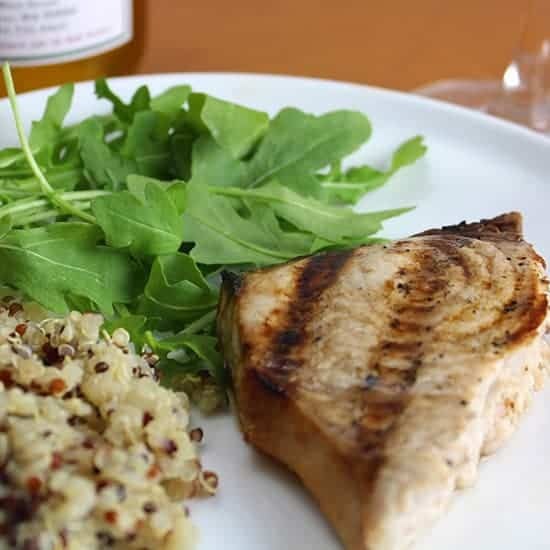 Grilled Swordfish with Garlic Soy Marinade It’s a bit hard to choose which swordfish recipe to include in this favorite grilling recipes roundup. Love grilling swordfish. I’m giving the nod to this super simple recipe for grilling swordfish. 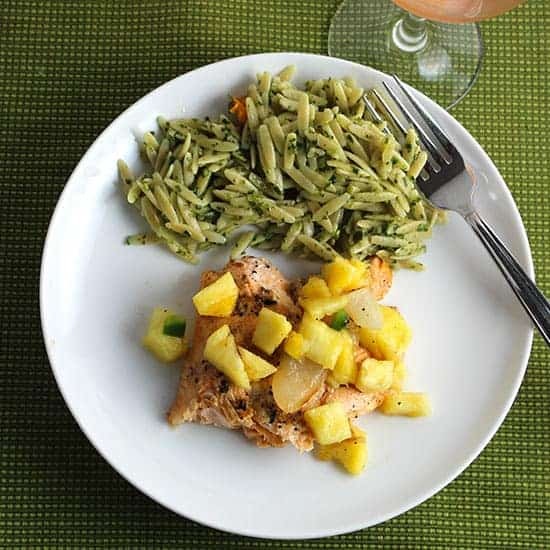 Grilled Arctic Char with Pineapple Salsa Unlike the swordfish we grill so often, arctic char is new here. We tried it for the first time recently and really enjoyed it topped with pineapple salsa. Delicious served with a medium bodied rosé wine. 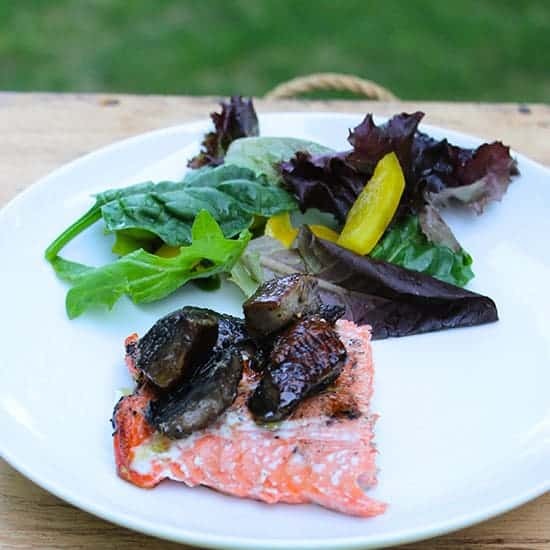 Grilled Salmon with Portobello Mushrooms I love the way portobello mushroom taste from the grill, and they are especially delicious served along with salmon. Pair this with a Pinot Noir for a great meal. 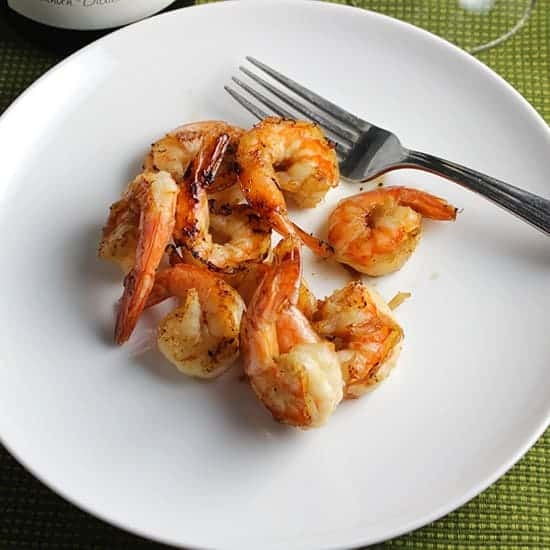 Simple Grilled Shrimp I love the way shrimp gets crispy and caramelized on the grill, with our simple marine. We have found it is especially good served with a Pouilly-Fumé, a crisp white wine made with Sauvignon Blanc grapes. 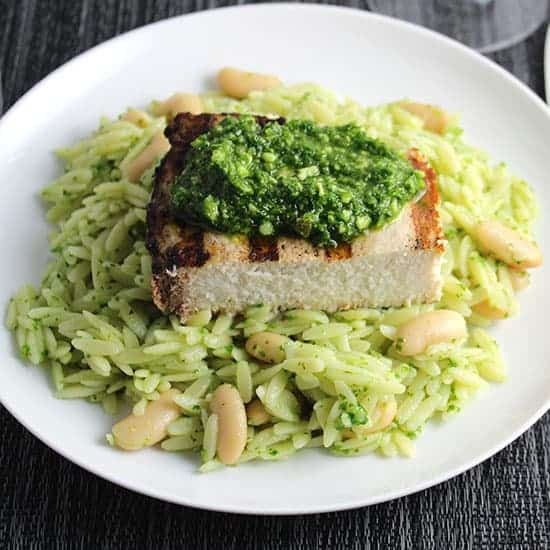 Orzo with Grilled Swordfish and Kale Pesto Pesto makes a great topping for grilled seafood, whether it be traditional basil pesto or the kale pesto we make so often. This recipe is one tasty example of how pesto and fish come together for a tasty meal. 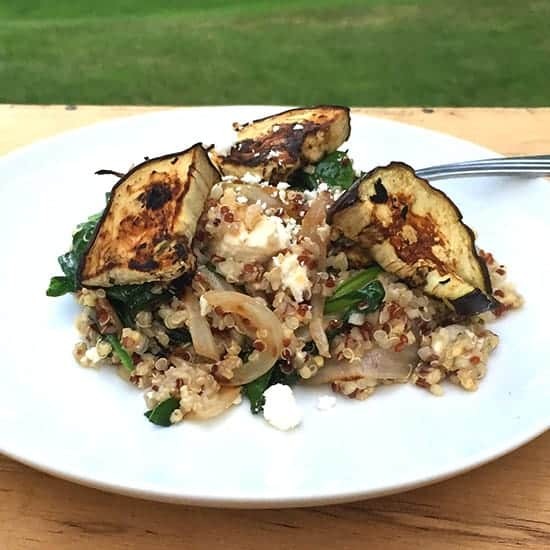 Quinoa with Grilled Eggplant, Spinach and Feta Eggplant is a wonderful vegetable to grill. Combined here with quinoa, spinach and feta, this can serve as a hearty side or vegetarian main course. Grilled Portobello Mushroom Pasta Portobello mushrooms needed to make another appearance in our favorite grilling recipes list! 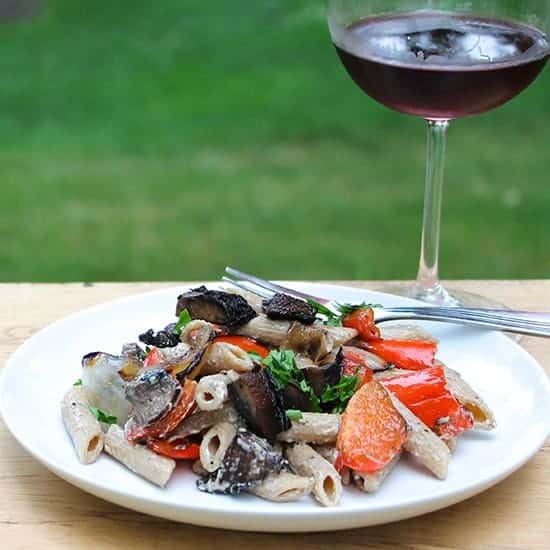 Here the mushrooms are the star attraction of a delicious vegetarian pasta recipe, perfect paired with Pinot Noir. Simply Scrumptious Grilled Chicken Breasts with Garlic Basil Butter This title is pretty self-explanatory, eh? The one important note not reflected in the title is that this is our best recipe for grilling bone-in chicken breasts to juicy perfection. 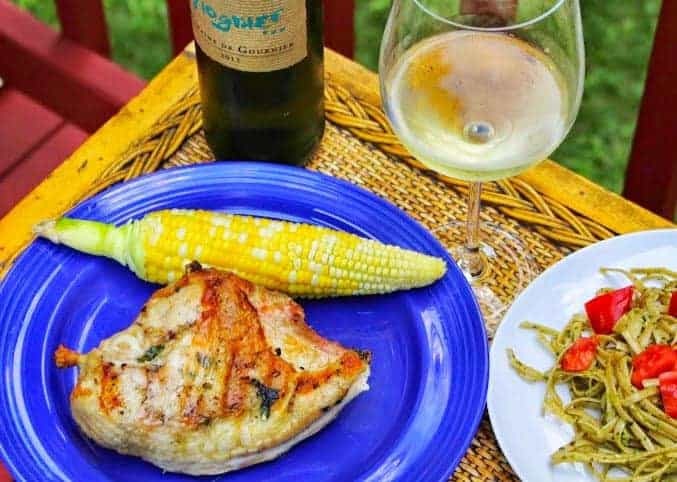 Serve with corn on the cob and a Viogner a great summer meal. 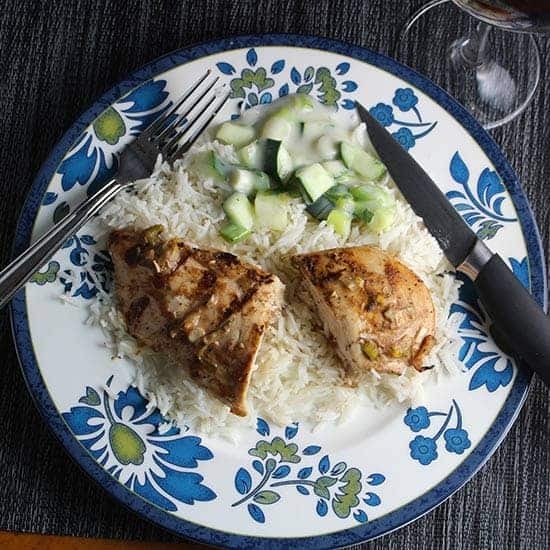 Grilled Tandoori Chicken We spice up our grilled chicken with this simple adaptation of the classic Indian chicken recipe.